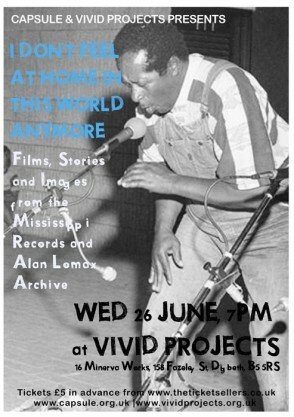 On Wednesday 26th June Eric Isaacson of Mississippi Records will be at Vivid Projects in Digbeth showing us some very rare footage from the label’s archive as we as film footage from Alan Lomax’s North American music archives. Mississippi Records is based in Portland, Oregon, operating as both an old style record store and a label digging up joyous albums, singles and unheard songs. They have managed to do this on a shoestring budget and distributing only through DIY avenues. 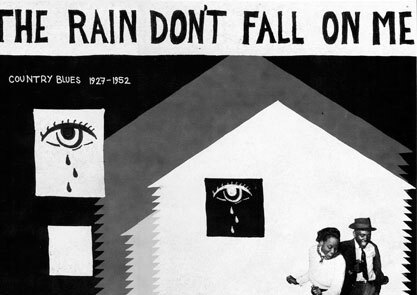 Among it’s catalogue you can find Fred McDowell, Mahmoud Ahmed, Irma Thomas, Dog Faced Hermans, George “Bongo Joe” Coleman, Kleenex/Liliput, The Georgia Sea Island Singers, The Clean, Alamayahu Eshete, Dead Moon, Clara Rockmore, The Ex, Washington Phillips, Philip Cohran & The Artistic Heritage Ensemble, G.I. Gurdjieff, Marisa Anderson, Peter Buck and Michael Hurley and some killer compilations. Many of Mississippi’s releases—especially those compilations—share a distinct design sensibility, with mysterious, slightly sloppy-looking collages, awkwardly handwritten text often appearing in place of type, and a near-total absence of promotional folderol. They also have the kinds of deluxe physical materials that have been almost totally absent from record manufacturing for decades. Mississippi Records Tour Preview Film from plastic shaman on Vimeo.